Severe weather can compromise the structural integrity of the home, and for homeowners, the aftermath of such an event can be a frustrating experience to go through. Getting back up from this predicament can be tough, especially when there is extensive damage that would require a vast amount of repair and restoration work. 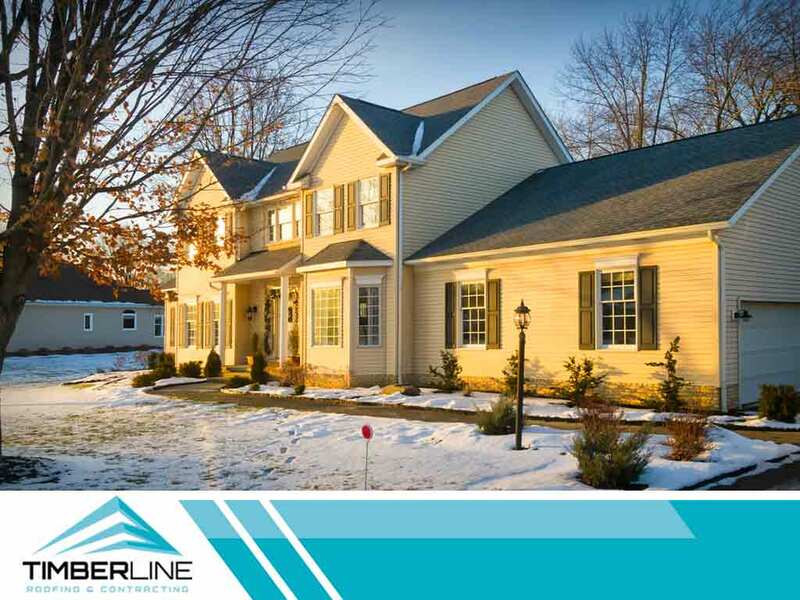 Read on as Timberline Roofing and Contracting, one of the premier roofing and siding contractors in the area, talks about the effects of storms on homes and how our company can help affected homeowners. Damage to the home’s components become more pronounced immediately after a strong wind, heavy snow or rainfall, or hailstorm has passed. Your siding, for example, may have cracks, chips or splits. Broken glass on windows and scattered debris all over the property are noticeable. The roof, however, may have incurred damage that may not be as obvious as those impact-driven types. Gutters may have come undone from their attachments. Shingles may have suffered stress marks. Worse, there could be possible moisture intrusion that might affect the long-term performance of the roofing system. Fortunately, storm damage restoration specialists like the people behind Timberline Roofing and Contracting can assist affected homeowners. Before we address the problems with replacement windows or siding installations, we see to it that we inspect every part of the property. We provide a free, no-obligation inspection of storm damage. We also work with insurance adjusters to ensure a fair and thorough evaluation of your property. At Timberline Roofing and Contracting, your satisfaction is our guarantee. We’d love to hear from you so we can get started on your roof insurance claim and guide you in restoring your home. Give us a call at (612) 263-9700 if you are in White Bear Lake or (507) 200-8880 if you are in Austin, or text (612) 470-7145. You can also fill out our contact form to schedule your free, in-home inspection. We serve Minneapolis, MN, and surrounding communities.